Michael T. Shiring is a litigator with Riley Riper Hollin & Colagreco’s Exton office. His practice, which encompasses all aspects of claim investigation, prosecution and defense, serves clients in the real estate, construction, landscaping, agricultural and telecommunications sectors. From initial investigation through trial and appellate proceedings, Mike delivers results-oriented strategies to his clients. His thorough approach provides for both efficiency and economy, while keeping his clients’ objectives at the forefront. He regularly appears before federal and state courts and administrative bodies. Mike has successfully litigated numerous cases involving property entitlements of landowners and developers in southeastern Pennsylvania. In addition to commercial litigation matters, he also represents individuals in military entitlement and benefits cases and provides criminal defense counsel. Whether litigating a corporate matter with millions of dollars at risk, or an individual’s claim for thousands, Mike appreciates every case’s significance to his clients and makes himself available 24/7 to answer questions and provide strategic guidance. 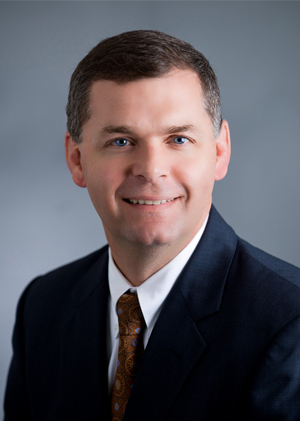 Prior to joining Riley Riper 12 years ago, Mike was an active duty U.S. Marine Corps officer and judge advocate, and served as in-house counsel with a major water utility company. Mike holds a Juris Doctor from Dickinson School of Law and a Bachelor of Science from Pennsylvania State University. He is a member of the Pennsylvania and Chester County Bar Associations.